One thing I’ve learned over the last 20 years of writing about Apple is that there’s no shortage of naysayers, ready to declare certain failure of the company’s newest product—whatever that product happens to be. The Apple Watch is the latest in a long list of products, that includes the iPod, iPhone, iPad and Macs, that critics says will fail. The truth of the matter is, nobody knows if the Apple Watch will be a huge success, a moderate blip on the consumer’s radar or a dismal failure. What we do have, is history of what’s happened with Apple’s major product releases, and a reasonable understanding of how consumers feel about the company. With this information, we can make some logical assumptions about how the Apple Watch will do in the market. Based on what the naysayers have said about releases of the iPhone and iPad in recent years, and the fact that consumers have purchased them in record numbers, I would say that people, in general, are more educated in their purchasing decisions than ever before. While we do know what the Apple Watch will look like, it seems like a safe bet that Apple hasn’t given us all of the details on the functionality of the device. For instance, we don’t yet know the full integration of the Apple Watch and the iPhone, although some intriguing details have recently surfaced. We also don’t know which apps will be available on the device. 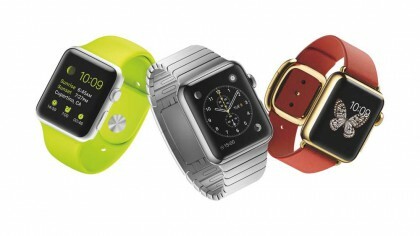 Apple is positioning the watch at the fashion space as much as they are to consumers. This is evidenced with the Paris unveiling of the watch at Colette, a high-end Paris boutique. Apple will face a problem convincing people that haven’t worn a watch for years—or have never worn a watch—that they need an Apple Watch. A lot of people, me included, haven’t worn a watch since I started carrying a smartphone. I can be convinced if the watch eases some problem in my life. The Apple Watch will sell well, probably above Apple’s public expectations. I’m not saying that equals success, just that people will be clamoring for a new Apple device and will give it a try. There will be a ramp-up to volume sales. While the tech and high-end crowd will go after the watch quickly, many consumers will take a wait and see attitude, but they will start to come around by the end of the year. Apple’s Worldwide Developers Conference will be important for the Apple Watch. The conference is where Apple will lay the roadmap for all of its devices for the coming year. Developers and consumers will get a first-hand look at where this technology is going. The first iteration of anything Apple has done in the last 15 years has been about releasing a stable, working product. They have, for the most part, met that goal. This is exactly what I expect from the company with the Apple Watch. Ultimately, success of the Apple Watch depends on developer interest in making apps specific to the watch, functionality of the device, and the future plans Apple has for the watch. There are many things Apple could allow us to control and track with the watch, whether that’s in the home, car, or even our health. One thing is for sure, the Apple Watch will be one of the most personal devices we have purchased in a long time. It’s much too early to declare the Apple Watch a failure because it’s a device that we haven’t seen before. Many smart people jumped to conclusions and said the iPod and iPhone would fail too. They couldn’t have been more wrong.